Welcome to the Holiday Inn Corpus Christi Downtown Marina hotel. Conveniently located in downtown Corpus Christi, experience an iconic coastal hotel overlooking the beautiful sparkling waters of the bayfront. Our luxurious hotel is directly across the street from the historic seawall and within an easy walk of local night life, restaurants, fishing and more. This includes the Texas State Aquarium, USS Lexington, Museum of Science and History, Whataburger Field and the American Bank Center. Take time and go for a swim and sunbathe by our beautiful indoor and outdoor pool offering panoramic views of the Corpus Christi Marina. 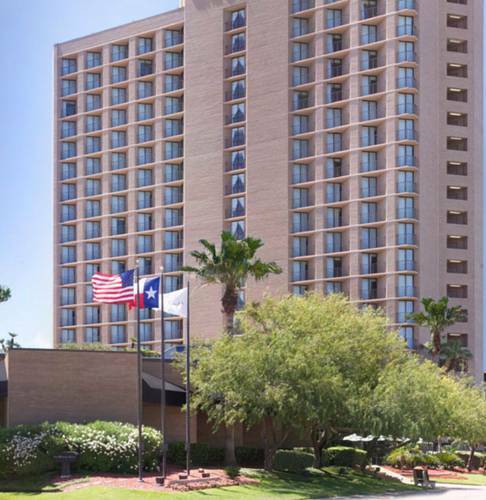 The Holiday Inn Corpus Christi Downtown Marina hotel is located in downtown Corpus Christi near many corporate locations offering convenient access to our business guest. These locations include the American Bank Convention Center, Exxon Mobil, Christus Spohn Hospital and Koch Industries. This 100% non smoking facility features large meeting and banquet space offering delicious catering menus. Our hotel offers a truly unique and enjoyable experience for all of our guests whether you are visiting for business or leisure. Coastline Bistro: Offers an American Cuisine with a modern, relaxing and a family friendly atmosphere. Enjoy your breakfast with spectacular views of the Corpus Christi Bay through our oversized windows. The Coastline Bistro is open for breakfast, lunch and dinner. Texas Rivera Ballroom: Texas Riveria Ballroom is the perfect venue for a large conference or dream wedding. It can also be broken down to five separate spaces if needed. Dependent on room setup, it can accommodate 300 plus for a seated dinner or up to 500 people theater style.